•	Details of your visits to our Website and the resources that you access including, but not limited to, traffic data, location data, weblog statistics and other communication data. •	Information that you provide by filling in forms on our Website, such as when you register to receive information such as a newsletter or contact us via the contact us page. •	Information provided to us when you communicate with us for any reason. •	To an agent we had appointed to act on our behalf, for example, to a lawyer or barrister we had appointed to act for us or one of our franchisees following an assault. •	What is the club’s purpose for using CCTV images? What are the issues/problems it is meant to address? •	Is the system necessary to address a pressing need, such as staff and visitor safety or crime prevention? •	Is it justified under the circumstances? •	Is it proportionate to the problem it is designed to deal with? •	What are the benefits to be gained from its use? •	Can CCTV systems realistically deliver these benefits? Can less privacy-intrusive solutions, such as improved lighting, achieve the same objectives? •	Does the club need images of identifiable individuals, or could the system use other images which are not capable of identifying the individual? •	Will the system being considered deliver the desired benefits now and remain suitable in the future? •	What are the views of those who will be under CCTV surveillance? •	What could be done to minimise intrusion for those whose images may be captured? 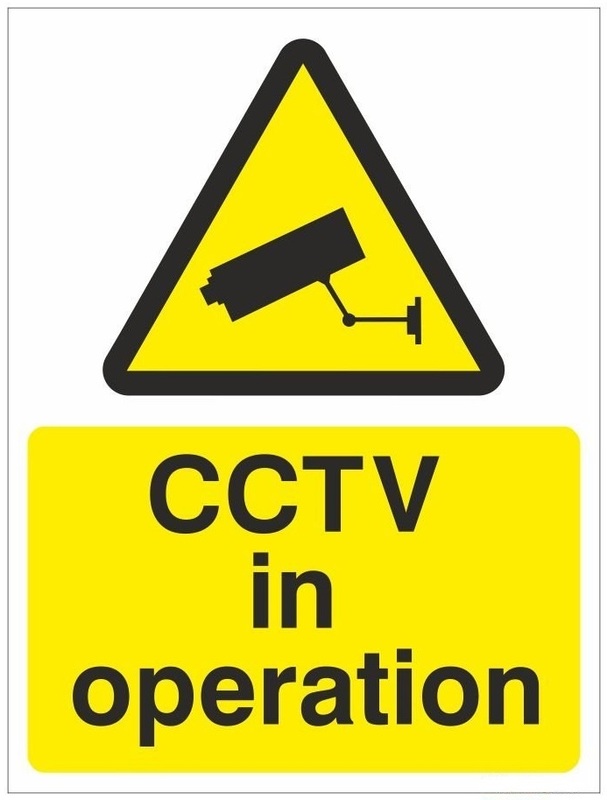 •	How have staff, members and visitors been assured by the club that they will not be monitored and that the CCTV system will be used only for the stated purposes? •	Does the clubs policy on the use of CCTV make it clear that staff will be monitored for performance or conduct purposes? •	Have the views of staff & members regarding the location of cameras been taken into account? •	Can the location of each internal camera be justified in accordance with the overall purpose for the use of the CCTV system? •	To invite you to visit one of our health and fitness clubs so that you can find out more about the facilities and membership options which are available or to have a free trial using the facilities in one or more of our clubs or to encourage you to become a member of one of our health and fitness clubs if you register an interest in joining up. •	To request that you provide us with a review containing your views on the quality of the services and facilities we supply to you as well as your impression of the quality of service you receive from our staff. •	To request that you consider recommending the services or products which we supply and to provide us with details which will allow us to contact a friend or colleague who you think would be interested in a service or product which we supply such as membership of one of our health clubs or in becoming a franchisee. •	To contact you to provide you with more information about a post that is available in our central team or in one of our clubs if you have registered an interest in joining as an employee or as a freelance worker such as a personal trainer or a studio instructor. •	To provide you with general information related to products or services in which you have expressed an interest and to provide information on other products or services which we feel may be of interest to you if you have consented to receive such information. •	To meet our contractual commitments to you, for example to notify you of any price changes to a membership which you may sign up for or to inform you of a temporary or permanent change to opening hours or any other factor which may affect your enjoyment of the facilities at one of our health and fitness clubs of which you may become a member. •	To notify you about any changes to our website, such as improvements or service/product changes, that may affect our service. •	If you are an existing customer, we may contact you with information about goods and services similar to those which were the subject of a previous sale to you. •	We may use your data, or permit selected third parties to use your data, so that you can be provided with information about unrelated goods and services which we consider may be of interest to you. We or they may contact you about these goods and services by any of the methods that you consented to at the time your information was collected. •	We will only contact you for marketing purposes or allow third parties to contact you for marketing purposes if you have provided consent for this to happen. Furthermore, you will only be contacted using the means of contact to which you have consented. •	If you do not want us to use your data for the purposes of marketing by ourselves or third parties you will have the opportunity to withhold your consent to this when you provide your details to us on the form on which we collect your data. •	Please be advised that we do not reveal information about identifiable individuals to our own marketing agencies but we may, on occasion, provide them with aggregate statistical information about our visitors such as your area of residence or age group. •	Our partners who process and collect data on our behalf, for example, the Harlands Group which processes direct debits on our behalf. Each of our partner organsiations whom we deem to be covered by this policy has been sent a copy and has given an assurance that they will abide by its contents. •	By publishing this policy on our public facing websites we promote awareness of its existence and make any visitor to our public facing website aware of the steps they can take should they suspect that a breach has occurred or may occur in the future. The policy itself contains clearly describes how anyone can communicate their concerns to named individuals within énergie. •	This policy is published on élan which is the software application which is used in our clubs and our central operation to manage and monitor the operation of our clubs. As a result, the policy is made available to our own staff, our franchisees and the individuals who work in their clubs. The policy clearly lays out what they must do in the event that they suspect that a breach has occurred or may occur in the future. •	We make use of sophisticated cyber protection software which monitors activity in our data centres and reports any unusual activity such as large volumes of data being downloaded to unknown IP addresses. •	We train our staff, franchisees and those individuals who work in our clubs in various ways, for example, by running sessions at our quarterly development meetings, the course we run on a regular basis for new franchisees and club managers (the énergie Basic Management Course) and other ad hoc training sessions which we run from time to time. •	We include all of our data protection policies in our operating manual which is made available to our franchisees and club managers. •	We designate specific individuals within énergie and Hedgehog Business Solutions (who are our software partner and main data processor) with the responsibility of monitoring for any breach or potential breach and acting upon any information which is provided. •	If it seems likely that a breach has taken place and there is a credible risk that further access to the same information or to other information may occur, or if a practice has been reported which seems to have a high risk of resulting in an imminent breach, immediate steps will be taken to protect the resource, for example, by shutting down the function or service which was used to gain access to the information or strengthening the security around it. •	The Systems and Technology Director will be informed and will liaise with the DPO throughout the incident to ensure that the DPO’s requests for further information and action are complied with. •	The DPO will formulate a plan of action in conjunction with the Systems and Technology Director on the steps needed to deal with the matter. Where appropriate and where practical, individuals from énergie, its franchisees and those who work in its clubs, its suppliers and any other relevant partners will be included as sources of information or to otherwise assist in the implementation of the plan. •	The Systems and Technology Director will assess whether the CEO should be informed immediately or whether it is acceptable to wait until further information has been gathered. •	If action is needed from a third party or if the DPO considers that they need to be made aware of the matter then the DPO will contact them immediately or as soon as is practical after sufficient information has been gathered to properly inform the third party. •	As provided by énergie Global Brand Management’s cyber insurance and where necessary and appropriate, the insurer will provide access to forensic investigators and experts who will help determine how the breach or exposure occurred; the types of data involved; the number of internal/external individuals and/or organizations impacted; and analyze the breach or exposure to determine the root cause. •	If, at any time throughout the investigation and resolution of the matter, the Systems and Technology Director feels that the CEO’s authority is needed to obtain information or implement a necessary action, the CEO will be contacted immediately to discuss the need and to ensure that appropriate action results. •	The DPO will follow the plan and will, as far as possible, gain a full understanding of the nature and extent of the matter.